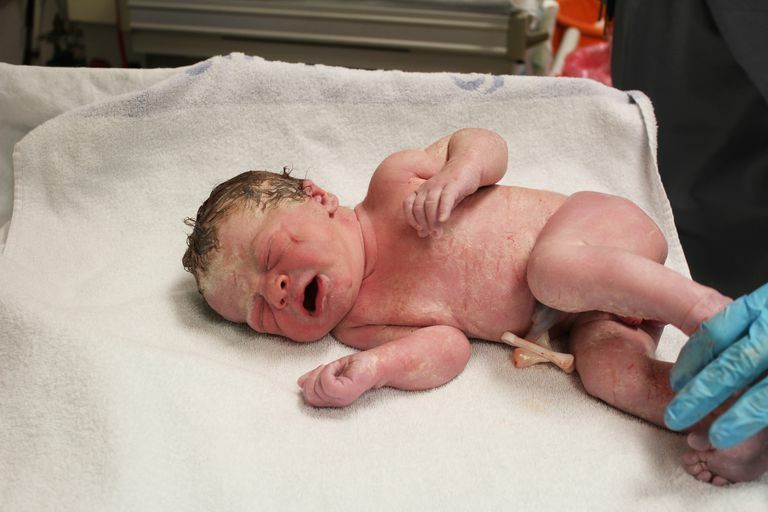 Birth injuries are not uncommon problems for babies. Because the child is being delivered through a narrow vaginal canal, injuries can occur from the birth process. Newborns with large weight and advanced gestational age are most prone to orthopedic injuries. Other conditions associated with birth injuries include underlying medical problems such as osteogenesis imperfecta or arthrogryposis. Some of the more common orthopedic injuries seen during childbirth are described here. These should be distinguished from congenital conditions that a child is born with, a childbirth injury actually occurs at the time of birth. Most often these include bone, joint, and nerve injuries that occur because the baby is positioned awkwardly during delivery. Many of these injuries can be avoided by Caesarean delivery, however, there are a host of other risks that can occur as a result of that surgical procedure. Some of the more common injuries of childbirth include the following. Clavicle fractures are the most frequently encountered birth injury. The clavicle, also called the collarbone, connects the chest to the shoulder. The usual symptom is pain over the fracture site, as seldom do the injuries cause a noticeable deformity. Simple treatments, usually just strapping the arm to the chest, will allow these injuries to heal. Treatment is usually only necessary for a few weeks, as the bone heals quickly in young babies. The brachial plexus is the group of nerves that travel from the neck down the arm. It's located just underneath the clavicle (collarbone) and can be injured during childbirth. The brachial plexus is stretched when the head is pulled in one direction and the arm in the opposite. Usually, this injury causes weakness seen in one arm. Treatment is to let the nerves to heal over time, most often this leads to complete recovery. If nerve injury is still evident after 3 to 6 months, surgery may be recommended. Growth plate fractures are injuries that occur in infants and children. The area of most rapid growth of the bones is softer cartilage, and more prone to injury. Typically a growth plate fracture that is the result of birth injury is detected by swelling at one end of a long bone (arm or leg). While no abnormalities may show up on an x-ray, signs of healing often show up on x-rays a week or so after the injury. Treatment usually consists of simple protection of the area and allowing a few weeks for complete healing. Femur fractures (broken thighbone) occur as the leg is awkwardly twisted during delivery. These are rare injuries that are much less common than clavicle fractures. The usual symptom is pain when the child is moved or diaper is changed. The treatment of a femur fracture in a newborn is to use a Pavlik harness. Usually, a Pavlik harness is worn for about four weeks. The good news is that even if an orthopedic injury occurs during childbirth, these will almost always resolve with simple observation. The newborn body is rapidly developing and has a tremendous capacity to heal. The vast majority of newborns will fully recover from their injury with no specific treatment needed. Staheli LT, "Practice of Pediatric Orthopedics" Lippincott Williams & Wilkins 2001. Page 218. "Erb's Palsy (Brachial Plexus Birth Injury)" American Academy of Orthopaedic Surgeons. October 2007.